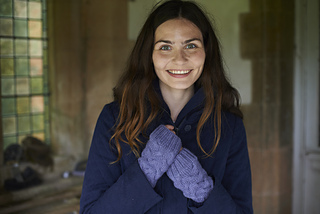 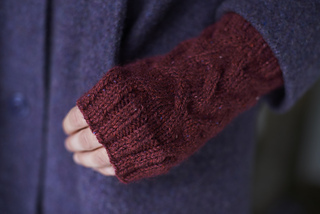 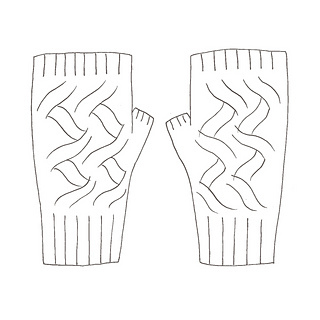 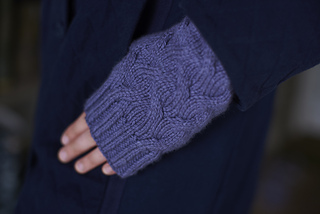 The Holt Wristwarmers are a simple pair of fingerless gloves with a cable pattern, in two sizes. 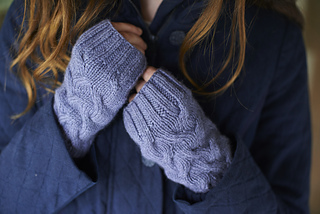 They are the ideal project for learning how to knit cables, and for practicing knitting in the round. 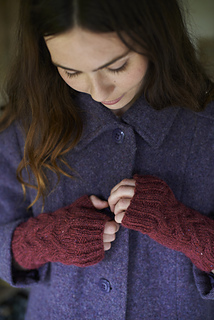 Instructions are given for knitting the gloves flat (Page 2) or in the round (Page 4), although in both cases the thumbs are knitted in the round.